July 31, 2013  Congressional Republicans are accusing the IRS of dodging their questions and requests for documents in the inquiry into the flagging of Tea Party groups seeking tax exempt status. One House committee warns the agency it could use its investigative powers to enforce compliance. And a second committee says it now has proof that conservative groups were treated worse than progressive groups. July 30, 2013  Some conservative Republican senators are pushing their leaders to use the threat of a government shutdown on Oct. 1 as a way to "defund" Obamacare. They argue that it's their last chance to stop the law before major portions take effect. It has opened up a serious rift in the party, as more moderate Republicans worry that if Congress fails to pass a spending bill by Sept. 30, Republicans — and not President Obama — will be blamed. July 29, 2013  When the House passed its version of the farm bill earlier this month, one major section was missing: the nutrition title. That includes the food stamp program, now called SNAP. July 24, 2013  The House rejected a measure that would have ended funding for a National Security Agency program that collects the phone records of Americans. The amendment to the defense spending bill had the support of liberal Democrats and libertarian Republicans, but was opposed by the Obama administration. July 24, 2013  The House is voting on Wednesday on whether to take away funding from the National Security Agency for the program that collects the phone records of Americans. The amendment to the defense spending bill has the support of liberal Democrats and libertarian Republicans, but is opposed by the Obama administration. July 24, 2013  The House is to vote Wednesday on whether to stop funding the National Security Agency's programs to collect data about Americans' phone calls. The proposal, an amendment to the half-trillion-dollar defense spending bill, is winning support both from liberal Democrats and libertarian Republicans. 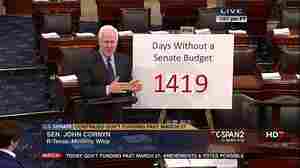 July 23, 2013  Watch C-SPAN long enough and you'll see members of Congress using big visual aids, known as floor charts. Many are about as sophisticated as those you'd see in grade school. Here are some of the best — and worst. 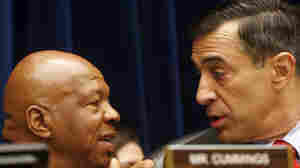 July 19, 2013  Congress held yet another hearing on the IRS targeting scandal Thursday. 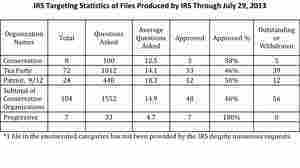 But unlike previous hearings, in which the IRS took the brunt of the tough questions for flagging conservative groups, this time the auditor whose report sparked the proceedings got equally tough questions from Democrats. They accuse him of neglecting to point out that liberal groups received similar scrutiny. July 16, 2013  The sting operation sounds like something from a crime novel. What was allegedly taken by the Minnesota lawmaker's assistant? An envelope marked "petty cash" that had $80 in it and maybe another marked "birthday money" that held $120. July 14, 2013  The chairmen of the House and Senate tax-writing committees, one Democrat and one Republican, are embarking on a tour to sell the importance of changing tax policy. In public, they stick to what they agree on — but there are still some sticky issues ahead. If The IRS Targeted The Left, Too, Will The House Hear It? 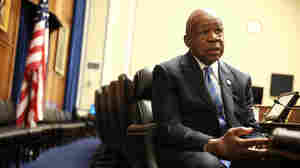 July 13, 2013  The House Oversight Committee will hold its latest hearing next week into how the IRS handled the applications of groups seeking tax exempt status. 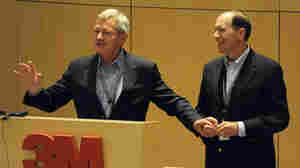 The hearings have morphed from a scandal over the targeting of Tea Party groups into something broader. July 11, 2013  House Republicans made a second run at passing a farm bill on Thursday, weeks after seeing dozens of their own party vote against it the first time. 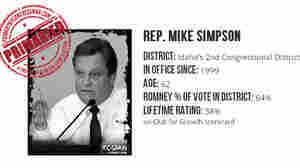 July 10, 2013  The conservative Club for Growth is throwing its weight behind a GOP candidate challenging longtime Republican Rep. Mike Simpson of Idaho in 2014. The endorsement grew out of a website the club launched asking voters to suggest Republicans from safe seats who they deem not conservative enough.